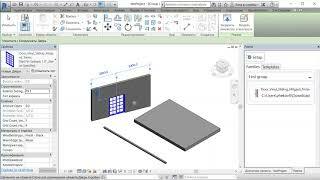 A simple application that allows you to create your own instrumental palette in Autodesk® Revit®. Add your favorite families to a palette and share it with your colleagues. Place a family in a model with just one click on a palette. You can also add palette link to template views for quickly switching.